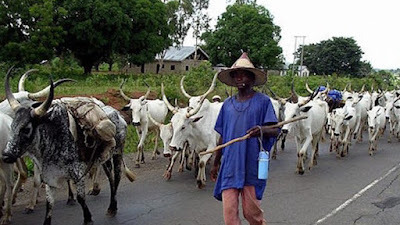 Three persons aged between 70 and 100 years have been confirmed dead and over 12 houses razed during an attack by Fulani herdsmen in Huke village, Miango in Bassa Local Government Area of Plateau State. The victims are Ahmadu Hwie, Odoh Hwie and Gado Kondo. Although the details were still sketchy, Punch learnt that the attack happened on Friday night. The spokesperson of Plateau State Police Command, Matthias Tyopev, an Assistant Superintendent of Police, confirmed the killing of the three men. He said, “On January 26 2018 at about 18:30 hr, while our men were sustaining patrols around Rafi-Bauna and Jebu-Miango areas, they received information that at about 18:15 hrs of same date, a gang of armed men suspected to be Fulani herdsmen were seen killing people and burning down houses at Huke village in Miango Chiefdom, Bassa LGA of Plateau State. “On receipt of this information, they immediately mobilised to the area. While getting close to the village the suspected herdsmen, on sighting our patrol vehicles, took to their heels. As a result of the attack, some people were shot and killed. “They are Ahmadu Hwie (male 100 years old); Odoh Hwie (male 90 years) and Gado Kondo (male 70 years old), all of Huke Village, Miango Bassa LGA. Ten houses were also set ablaze by the same attackers. “The suspected herdsmen have adopted guerrilla tactics of hit and run. As such, the Commissioner of Police Plateau State Command, Jos, Undie Adie, has deployed more police personnel to the area for effective coverage and robust patrol to curtail the incidents of attacks.